When it comes to outdoor activities and natural landscapes, Wyoming is on top of the list of places to visit. Not only is it home to the world’s oldest and largest national parks and natural landmarks like the Yellowstone National Park or the Devil’s Tower Monument, but it is one of the few places in the world where you will get to see countless wildlife roaming freely in the protected areas. On your trip here, you can expect to have a full day of hiking, rock climbing, mountain biking, kayaking, and fishing — then retire at any of the comfortable accommodation like the Jackson Hole cabin rentals, where the natural sceneries can be viewed easily. It truly is a unique destination to visit. So in this article, let us explore the many places you should not miss on your Wyoming vacation. 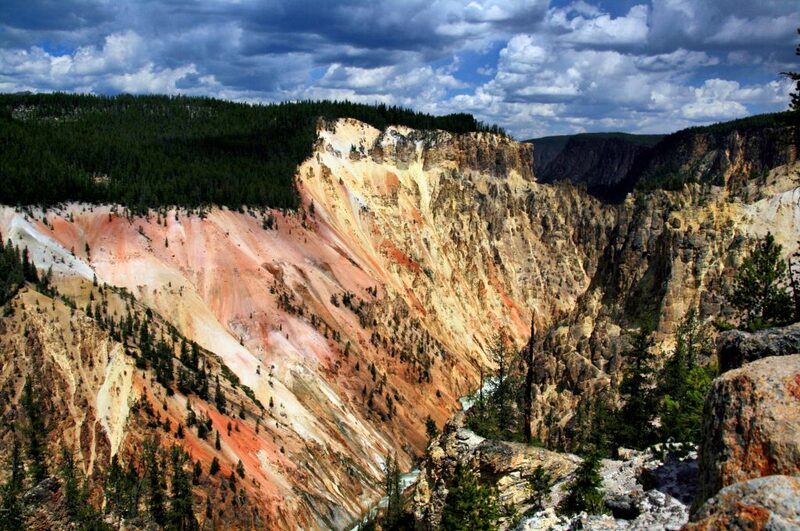 First on our list is the very popular Yellowstone National Park. It is the world’s first and oldest national park, with 2.2 million acres of land. It is filled with geysers and boiling lakes. It is also home to free-roaming animals like wolves, bison, bears, antelopes, elk, and swan. It is one of two geothermal landscapes in Wyoming, a temperate-zone ecosystem where wide trees, a thick forest, and flowering meadows can be found. Make sure you get to visit the Morning Glory Pool, the Old Faithful and the Crows Nest, and the Grand Prismatic Spring. Standing at 12, 000 feet high, the Teton Mountain Range is said to have formed millions of years ago due to a bucked fault which created 12 peaks. This is another geothermal destination, where you can find the dense Bridger-Teton National Forest. Here, you will find 300 different species of birds, countless freshwater fish, and about 60 species of mammals. Activities available to do include mountain climbing, skiing, rafting, and fishing. For nature photographers, this is one of the best places to practice scenery shoots or wildlife shoots. The appropriately named Hole-in-the-Wall Hideout used to be a popular spot on the outlaw trail during the 19th century. This was a time when lawlessness was romanticised and the rebels of the law are seen as idols. Here, outlaws such as Butch Cassidy, Sundance Kid, Jesse James, and the Logan brothers hid from the authorities. Once you make your way here, you will understand why it became a popular hideout choice: it is so hard to reach. You will have to pass through an eroded mesa, then to reach the top, you will have to make a steep climb on very dangerous loose rock. At the top, you will get a 360-view of the pass, which means outlaws saw if someone is going to sneak up on them. You can also visit the Whitney Gallery of Western Art where the works of artists such as George Catlin, Charles Russell, and Frederic Remington can be viewed by art enthusiasts, where each piece plays with the wild west theme. The Devil’s Tower National Monument is the first declared national monument in the United States. It has a summit of over 5,000 feet above sea level and juts dramatically at 1,200 feet above the Belle Fourche River. Just like some of the Wyoming sites shrouded in mystery, the Tower’s has its fair share of supernatural and science fiction tales (which is probably why it was chosen as the setting for Close Encounters of the Third Kind). The Tower has been called a geological masterpiece, owing to its almost conical shape, and its volcanic marvel shows how much the region has changed culturally. The best time to visit the site in the spring so you can see the wildflowers that surrounds the meadows and the forest. You can hike 8 miles of natural trails around the rock, too is you are up for it. You may also want to relax at Belle Fourche River where you can fish for Smallmouth Bass, Channel Catfish, Black Bullhead, and more. Located in Wapiti Valley, the Smith Mansion has a lot of stories attached to it. They say that it was built by a madman, judging by its quirky construction. Others say that the house was built on top of a very profitable mine shaft. Still, others believe that the house was built as a joke. However, its origin is duller than others think: Francis Lee Smith, the person responsible for the most popular and weirdest looking mansion in Wyoming, just built it for his family. In fact, the house used to look like any other normal house. But Smith decided to continue building floors and balconies to the house, so much so that it affected his relationship with his wife. Even after his divorce, he kept building new rooms and balconies. He died at the age of 48 while he was working on one of the upper balconies untethered, and fell. All these destinations show Wyoming’s rich heritage, its picturesque sceneries, and the dark legends popular in the state. Make sure you get to visit all of these sites to get the full Wyoming experience during your trip. Enjoy, and don’t forget to take pictures!